Weds 12th Dec, 7.00pm – 9.30pm. Free admission. Join us at CICCIC with the Fire River Poets for an evening of poetry and readings evening on verses and songs from a 1911 publication SUFFRAGE SONGS and VERSES and other poems. Read by members of Fire River Poets there will also be short presentations on other aspects of the suffragette movement. 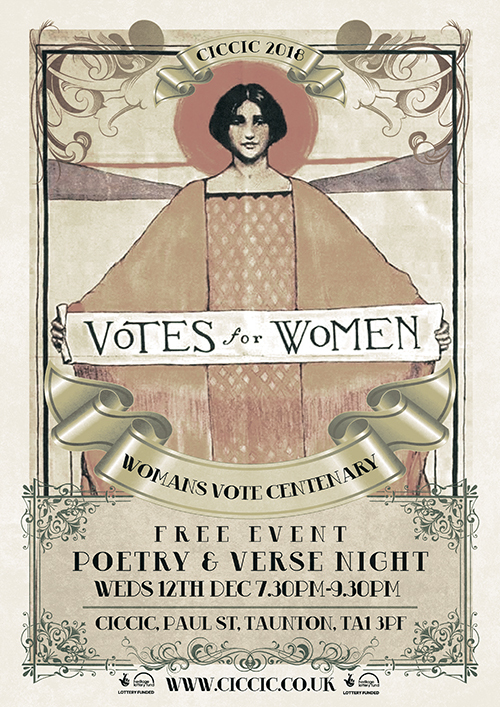 If you wish to read your own woman’s vote poetry or verse then why not come along on the night. We will have a quick look and find you a spot to share with the community.